This past December, a Seattle City Light contractor completed the final repair work on several existing electrical conduits along 42nd Avenue South in Tukwila, WA. The project also included the installation of new vaults to enhance reliability for electrical service. 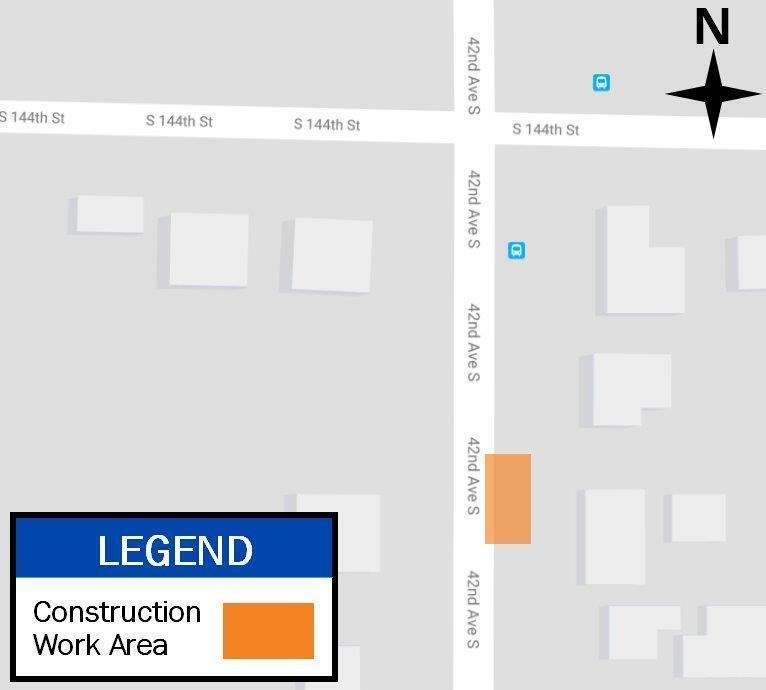 Map of the construction work area on 42nd Avenue South. Pictured: Restored area on the east side of 42nd Avenue South. Contracted crews repaired electrical conduit and installed a vault. Contracted crews started this three-month project in late October 2017. City Light thanks the residents of Tukwila for their patience during the successful completion of this project. Learn about this project and others by visiting Seattle City Light’s “At Work in Your Neighborhood” website.